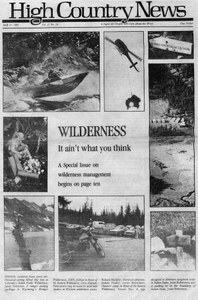 A special issue on wilderness management. Holes within the Frank Church-River of No Return Wilderness mean heavily used exceptions to the Wilderness Act. Although hundreds of wilderness areas have been created, few are actually managed according to the spirit of the Wilderness Act.